During her guest appearance on the Thursday episode of Tonight with Boy Abunda, October 13, Bakit Lahat Ng Gwapo May Boyfriend? 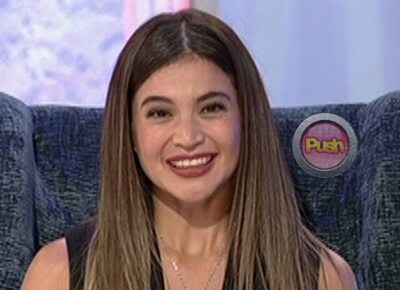 star Anne Curtis was asked if she gets bothered by people who keep on asking her when she will settle down. People frequently asked the 31-year-old It’s Showtime host about getting married especially after three of her closest friends—namely Georgina Wilson, Solenn Heussaff and Isabelle Daza—tied the knot with their respective partners this year. “I’ve gotten used to it already especially this year na parang ang dami na talaga sa group of friends ko na, you know, tied the knot. Hindi talaga ako na-bother. In the beginning, parang ano ba, tama na but then after a while, okay na, parang nasanay na lang din,” she said. Anne’s longtime boyfriend is restauranteur and online personality, Erwan Heussaff. “Medyo mas career-driven at the moment but I know when the right time comes, it will happen,” Anne added.